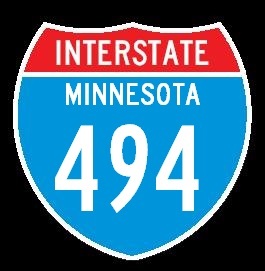 Interstate 494 forms the southern and western outer loop of the Minneapolis-St. Paul Metro Area. 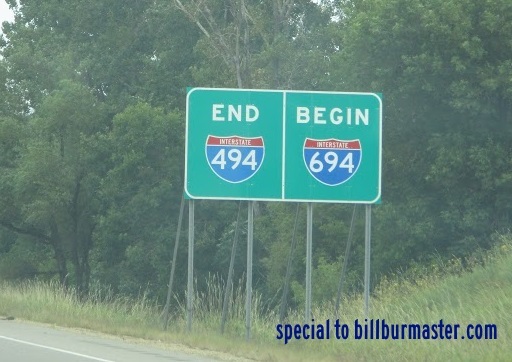 It starts and ends with Interstate 94/694 at both ends of the highway. 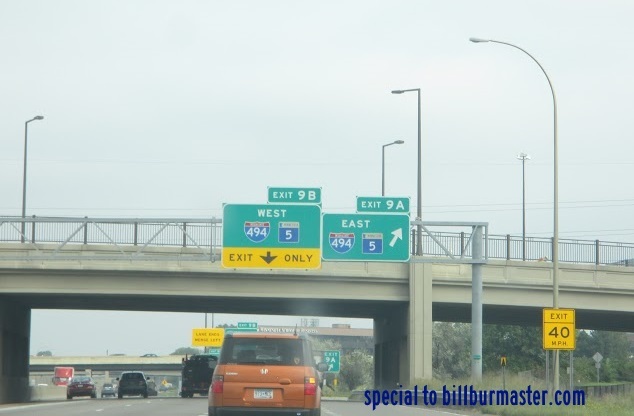 While in Minnesota, I-494 is multi-plexed. 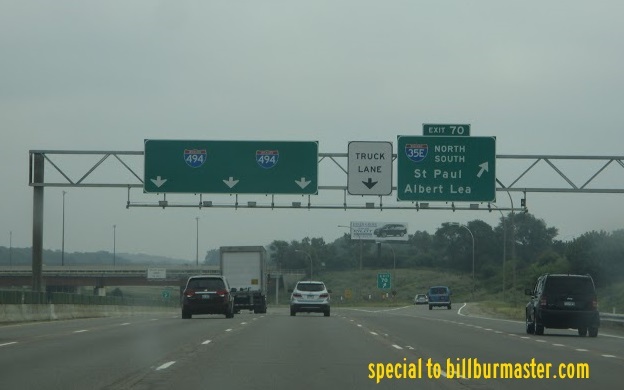 ...Minnesota State Route 5, from Bloomington to Eden Prairie. 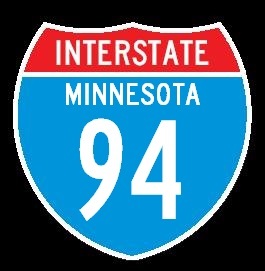 In Minnesota, Interstate 494 crosses the following interstates. EB I-494 a half mile from I-94. 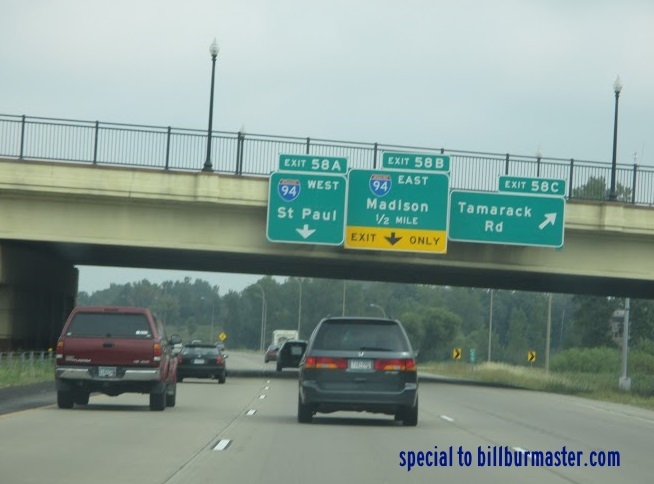 Interstate 35E, at Mendota Heights. Interstate 94, at Maple Grove. Interstate 694, at Maple Grove. Info on the parent route for I-494. 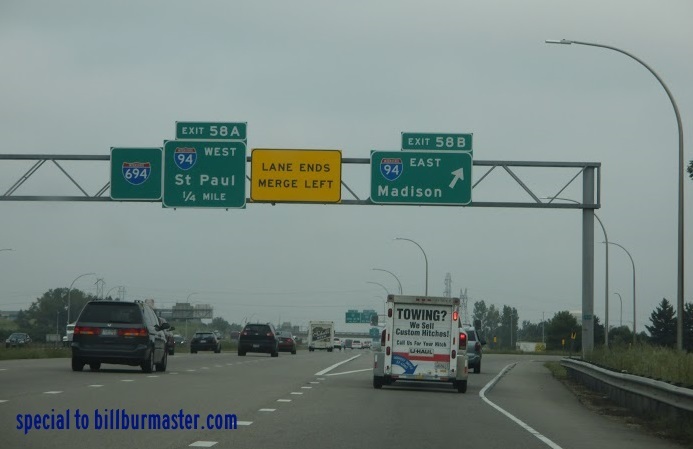 A BGS on NB I-35W. 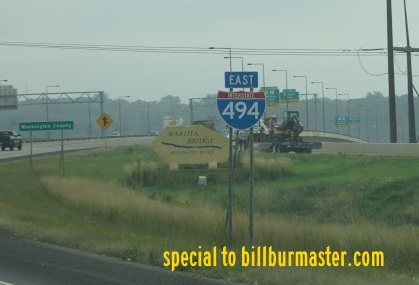 A guide marker on EB I-494.